What is it about kids, sports and environmental exposures that can drive such high emotions? 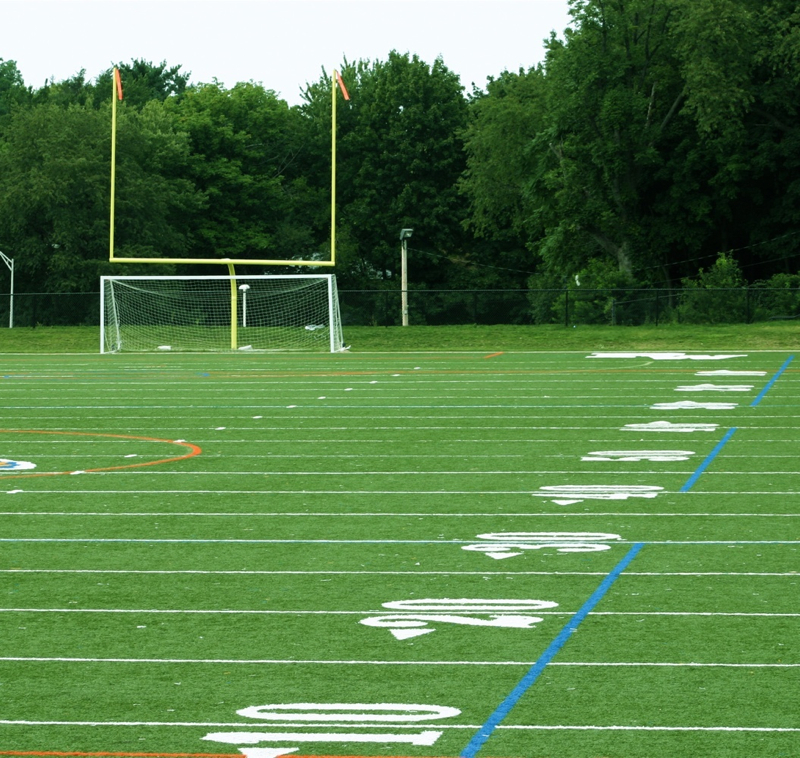 The other night in Wilton, Connecticut, there was a heated debate over a proposal for a new synthetic turf field. Sports parents turned out in force at the Planning and Zoning Commission hearing to show their support, while some local residents and invited experts urged caution because of potential health and environmental impacts. Passion ran high and tempers were short. Supporters seemed exasperated with the delay in approving the field, while the Commission seemed genuinely concerned by the suggestion of potential health threats to young athletes who play on synthetic turf. The same scene is playing out in communities across the country as local school and municipal officials grapple with the demands of sports teams for unfettered access to playing fields. The lure of the promise of a virtually indestructible sports field that is playable 24/7/365 is understandable. But science is getting in the way, and with science, there are no quick answers. 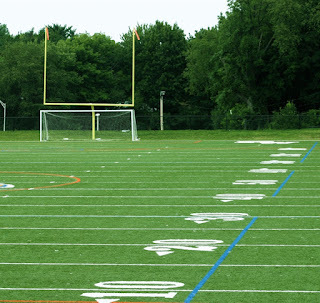 The fact is that the recycled ground-up tires (crumb rubber) that cushion most synthetic turf fields, along with the disinfectants and flame retardants commonly used on these fields, contain chemicals that have been linked with increased risk of cancer, developmental and neurological problems and birth defects. But of course, none of these things happen right away. It's only over time that we understand the true impact of environmental exposures…sometimes it takes decades. The Precautionary Principle is something every parent knows and applies by instinct. 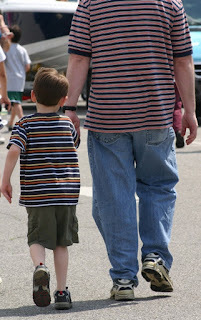 We buckle our kids in seat belts, teach them to wash their hands and look both ways before crossing the street. We go out of our way to make sure they're safe. Kids have been playing on natural grass safely for thousands of years. Does the ability to occasionally play a lacrosse game in the rain outweigh the risk that they could be permanently or seriously harmed by years of exposure to the toxic chemicals on a plastic playing field during one of the most critical developmental periods of their lives? As a dad, for me this is a no-brainer. 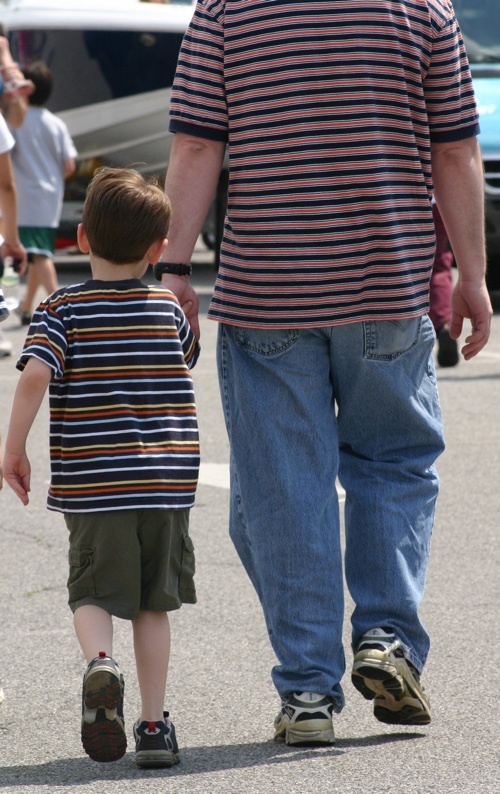 Children with Developmental Disabilities as a Career Opportunity? At our community pool this past weekend, the PA system was blasting the local pop radio station, and an ad came on that caught my attention. The ad was aimed at young high school grads looking for a career. The sponsor was offering to train them for a career in the “growing field of children with developmental disabilities." There are many things about this statement that anyone should find alarming. First, the fact that the number of children with developmental disabilities is now high enough to spawn its own career choices is frightening. And the fact that the rate of diagnosis continues to go up with no letup in sight is deeply troubling, as neurological problems are lifelong conditions. But perhaps most upsetting is that government regulators and politicians are so hamstrung by lobbyists and special interests that they can’t remove dangerous products from store shelves, even when there is clear evidence that exposure to chemicals in some of those products can cause neurological damage and may be linked to the growing epidemic of children with neurological problems. The Toxic Substances Control Act (“TSCA”) is Exhibit A. Originally passed in 1976 and left pretty much untouched since then, the law is so far out of whack with what scientists now know about chemical exposures and neurological impairment that it’s virtually worthless. In fact, it may be worse than nothing. Among other things, TSCA forbids the government from sharing much of the information it collects about toxic chemicals, and requires that government agencies prove cause-and-effect before any chemical can be removed from the market. The chemical industry knows that we don’t –and never will – conduct chemical exposure research on humans. And yet without proof of harm, the government can’t act. A new version of the law has languished in congress for years, and politicians who fight against “big government” have kept it from even coming to a vote. In Europe, many toxic products or their chemical ingredients have been banned, and yet these same products continue to line the shelves of America’s stores. Do the Europeans care more about their kids than we do? I don’t think so. I think it comes from pure, old fashioned greed and misguided politics. While the chemical industry racks up billions in profits and investors get rich, American parents continue to buy products and expose themselves and their children to chemicals known to interfere with normal brain development. And the care of millions of children who suffer the consequences will be a career choice for young people across this country for many years to come.